By now we have all been introduced to Hops Sportswear in the form of a US release and the introduction to their first performance model, the Ol Skool. However, what do we really know about the Brand and the influences behind it? In order to better educate ourselves on the new performance driven company, we have an intriguing Q&A with Hops Sportswear’s owner and founder Matt Kaipuke. Along with the Q&A, we have a first look at their new model dubbed the ‘Startin 5’. Hit the jump for the full article and share your thoughts on the new design. 1)	Tell us about your background and how you came to start the Hops brand. I am originally from New Zealand and played in the National Basketball League in the late 1980s and early 90s as a point guard. During this time I was able to wear many different types of Basketball sneakers that were out and started to figure out what’s good and what’s bad. In 2002 my family and I moved to Melbourne, Australia looking for opportunities and a better life. I had always wanted to start my own business but was never sure what to venture in to. One day I read an article in the local newspaper about a successful businessman who was “self-made.” He said if you are going to start your own business, make sure it’s in something that you are extremely passionate about as that passion will drive you through the hard and difficult times involved in your journey. As I sat pondering about what I was passionate about, Basketball was the one thing that jumped out at me. I got excited about this and thought about starting my own basketball shop online but as I approached different brands I didn’t receive the support I thought I would get. I got pretty ticked off at this because I didn’t have a plan B so I sulked for a few weeks trying to come up with another plan. My kids at that time (2005) were just starting to play basketball so when it came time to buy sneakers I was horrified at a lot of the prices being charged especially when you multiply it by 4 kids. When I played we got our sneakers for free now I had to pay like everyone else and it was tough. When I had a close look at those sneakers I didn’t see anything fantastic that to me justified the prices being charged, just the brand name. 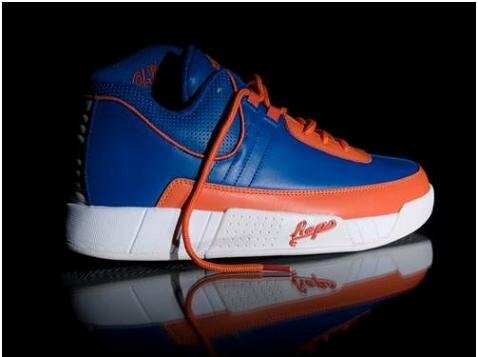 That’s when the light bulb went off in my head “Design your own brand, make your own basketball shoe. “I was pumped; this was it I was 100% certain.” That night after work I told my wife what my idea was and she was just as excited, because she knew how much I loved the game. I couldn’t sleep that night and I started searching the Internet trying to research ideas when a couple of important questions came to mind. Who is going to design this new brand? I had lots of ideas but no artistic flair whatsoever so I knew I had to find someone that not only had artistic flair but the same vision I had. Talk about throwing a needle into a haystack huh? Through months of research on the Internet I eventually stumbled on to www.kicksguide.com and was amazed at the talent of these aspiring designers. That’s where I found PietroPellicelli who had just received the Kicksguide 2005 artist of the Year. Who do I go to for advice? Starting your own Basketball brand is not a common business idea in this big world so where do I go? If you want to be a Teacher or a Lawyer you can always find someone in that profession and ask questions. Unfortunately I didn’t have that luxury. I decided that I would seek out 6 experienced business men that in my eyes were successful and use them as my mentors. Some of them at first thought I was crazy to enter this business path but that passion and determination kept coming through when I meet with them and eventually they started taking me seriously. Even though we launched in 2007, the whole process of starting Hops came together in 2005. 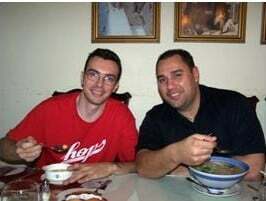 Lots of research, development of samples/prototypes, trips to China, meetings with Pro Players, all on a tight budget led us to our official start in November 2007. Our goal was to always come to theUS but we wanted to make sure we were ready and could offer a product that was different and unique to the mainstream market. In our eyes the US market was the door to the whole world and we respected that and wanted to ensure we had done our homework first. Starting in Australia allowed us to test the market, make some mistakes and learn. In USA there are 23 million basketball players which is just amazing because in Australia the whole population is 22 million!! USA is a huge market and we recognize that it’s dominated by Nike and Adidas. However we are realistic with our goals and know we are swimming upstream. Now that we are in the US we are looking “to tell our story” and offer something that is different at an affordable price. 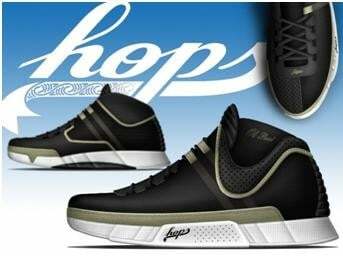 3)	Hops launched from the start as a performance oriented brand at an affordable price point. Talk about the products you’re currently offering. Our current model OlSkool has been with us for 3 years now and even though it looks cosmetically the same as in 2007 it’s a very different sneaker today. 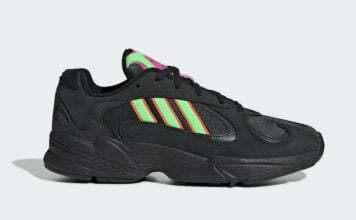 The engine of the sneaker has been modified greatly with double the cushioning, more support for the ankle and heel and the sneaker is 25% lighter than in 2007. I feel OlSkool is going to be with us for a long time very much like our own AF1. Consumers love Retro designs. Our new design, Startin 5 is going to be released in the next few months and we feel it will showcase a different edge to OlSkool and attract new customers to Hops. 4)	The development and design of Hops footwear has an interesting backstory in PietroPellicelli who has been a mainstay in online design forums and discussion boards over the past decade. Talk about how you originally connected with Pietro and what he brings to the table. 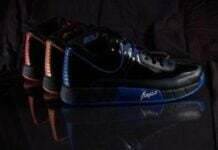 Once I realised I had no artistic flair to design my own basketball sneakers, I was on the hunt for a designer. However I wanted to find a designer that not only had the same vision as me but was a basketball player first, designer second. This to me was crucial. I knew if he played that game at a decent level, then together we could design and make sneakers that people would like and we could grow and evolve as a brand. We could use our experiences as players who have worn lots of different sneakers from many brands over the years to decide what a good sneaker was and what was rubbish. I wanted to keep it pretty simple. When I stumbled on www.kicksguide.com I was like a kid in a candy store, looking at all these aspiring designers and having all their portfolios for me to look at was like Christmas. I contacted Pietro by email and he contacted me back 2 days later saying he was keen to talk, so I called him on the phone and we spoke for a few hours. Pietro lives near Milan, Italy and what I loved from our first conversation was how well we got along, there was definitely some common ground between us and we hit it off straight away. Italian design and designers are world renowned in many areas so I knew I had discovered someone pretty special. Pietro to me isn’t just a designer he is an Artist. He brings a lot of passion and commitment to Hops and attention to detail with his designs. When we were in China together working with our manufacturer he would go through every step and inspect all the materials, stitching, measurements and he asked a lot of questions. My weaknesses were definitely his strengths and together we form a strong team. I feel very blessed to have Pietro on board with Hops. 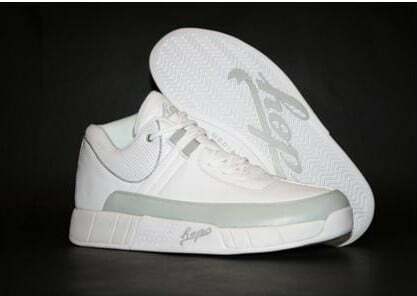 Once we both decided back in 2006 that we would work together to create Hops I told Pietro that it would be impossible for us to create basketball sneakers that would appeal to everyone, so to keep it simple I suggested that we make sneakers that Matt and Pietro liked. If we were happy with the product being former players then that would a be a great starting point. That’s exactly how we started, that was our mindset. 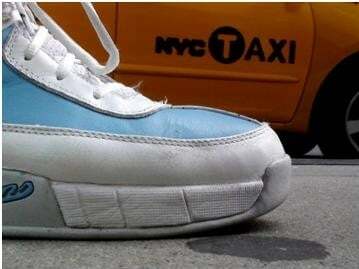 5)	The big technical push with the Hops OlSkool shoe is the “Medial Wing” technology seen underfoot. Tell us about it. When Pietro first raised the concept of the “Medial Wing” I have to be honest, I saw it as a gimmick, pretty much like all the other marketing gimmicks that brands use to hype themselves up to get more sales. When we got our 1st Hops samples made, what better way than to lace them up and head down to the local court and try them out? As I dribbled the ball down court, changing direction in a zigzag formation I was amazed at the stability I felt in these movements and I knew Pietro was on to something that wasn’t a gimmick it actually worked!! I won’t go into the technical aspects as I know Pietro will be doing a post for Counterkicks in the near future and who better than him to explain. But I want people to know that we have Pro players in Australia, Male and Female that love the Medial Wing and appreciate what it has done for them. If you have good stability and balance when playing you will be able to perform better, right? Enough said. 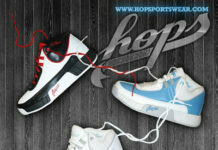 6) Are you looking to launch more Hops footwear models in addition to the OlSkool? When will those be available? We are bringing out our 2nd design in a few months called Startin 5. 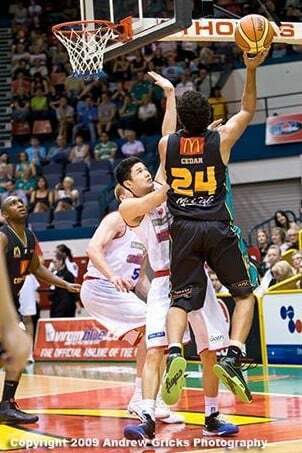 We have had Pro players in Australia testing for us over the last year. The feedback has been very strong and positive from them and we feel it’s ready to be released very soon. We feel that Startin 5 is a strong step forward for us and will bring new customers to Hops as it has its own look and edge that’s different to OlSkool. We are also working on a 3rd design for summer 2011. Pietro has a lot of designs ready for Hops which is exciting, but from a business perspective we need to have the demand from consumers to justify us bringing out new designs. Hopefully we will be bringing out quite a few in the next 2 years. 7)	Where do you see Hops going over the next few years? What’s your ultimate vision for the Hops brand? My vision is that I will see Hops establish a positive position on the Internet and be able to market the brand and build awareness through multiple websites that revolve around Basketball and Sneaker culture. I see Hops finding a home with a major retailer across the US allowing us to reach out to all consumers and showcase what we have and continue to tell and share our story. I see Hops being worn by NBA players that will open the gate for Hops globally as I recognize that the NBA is an International League with a huge global audience. I see Hops bringing out many styles/designs that will be original and unique at an affordable price range which will help us to build our customer base worldwide. I see Hops having long term relationships with key partners like Slam magazine and selected websites that are supportive of Hops so we can connect and listen to the consumer. This way we can anticipate what they want and what they are looking for. 8 )	Is there any brand/sneaker that inspired you in the beginning? What did you learn? Up until I created Hops I was always a Nike man. I loved the look of Jordan’s but never felt quite right when I played in them and for some reason use to have ankle problems when I wore them. However I was a huge fan of Air Flights; they really worked for me and felt like they were made specifically for my feet. 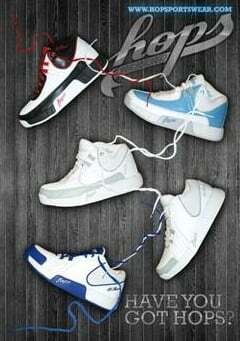 I wore Air Flights for many years’ lows and mids. I played wearing other brands sometimes because of sponsorship but I always came back to Nike. The experiences as a player were crucial in helping me set up Hops. 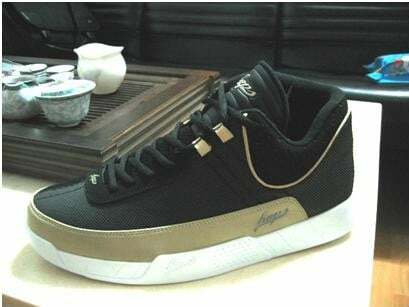 I have learnt that you can make really nice looking sneakers cosmetically that will catch the eye of the consumer only for them to be disappointed when wearing them on the court because they don’t perform as good as they look. Or on the other side you can make a sneaker that performs well but looks ugly. Having a balance between Fashion and Function is crucial. ^ amen. The greatest inspirational story won't change the fact that these are some of the fugliest sneakers I have ever seen on this site. I hope he didn't invest much in this venture because I don't see how in the hell this could ever make it.